Our final poetry news round-up of the week takes a look at the winner of this year’s Victorian Prize for Literature, and the longlist for the 2019 Dylan Thomas Prize. When the ceremony for this year’s Victorian Prize for Literature took place, the winner was unable to be there in person to accept the award. Behrouz Boochani, a Kurdish refugee, is currently located within Manus Island a place that he has been in prison for the last five years. is his poetic memoir, written from his prison cell and then translated by Omid Tofighian. 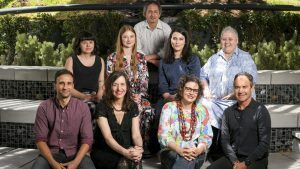 Not only has it won the Victorian Prize for literature, which has a cash prize of $100,000 but it has also taken the Victorian Premier Literary Awards’ non-fiction prize, which has an award of £25,000. Boochani said of his win that it left him with something of a paradoxical feeling. When he wrote the poem, his real aim was to give people a deeper understanding of how people on Manus, innocent people, had been systematically tortured for many years. He feels he isn’t able to celebrate his win whilst there are people around him who are suffering All he and the people around him want is freedom. They are seeking asylum and have committed no crime. His hope now is that winning the award will bring their plight to the attention of the public and this will help end the situation. The book has already caused a bit of a ripple in the literary world. It was considered to be ineligible for the Walkley Foundation’s book awards and the NSW Premiers Awards because Boochani is not Australian or a permanent resident. The administrators of the Victorian prize, however, gave his work a special exemption. The longlist for this year’s Dylan Thomas Prize has been published and it makes interesting reading. The prize of £30,000 is given to a book written in English by a writer who is aged 39 or under. The longlist, which was published yesterday includes two writers who are aged 27 and are considered rising stars in the literary world. One of these writers – Nana Kwame Adjei-Breyah – missed out earlier this week on the Costa Book of the Year Award. 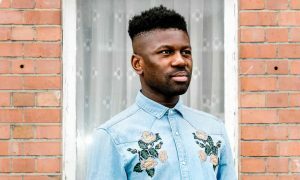 The longlist also includes Guy Guanaratne, who has previously been longlisted for a Booker prize with his debut novel “In Our Mad and Furious City”, Sarah Perry, a bestselling novelist and Emma Glass who works in a London Children’s Hospital. The panel of judges feel that this is the Strongest longlist that the prize has ever had and that they have never before seen such diversity. The longlist also includes a number of debut works, both novels and poetry collections.